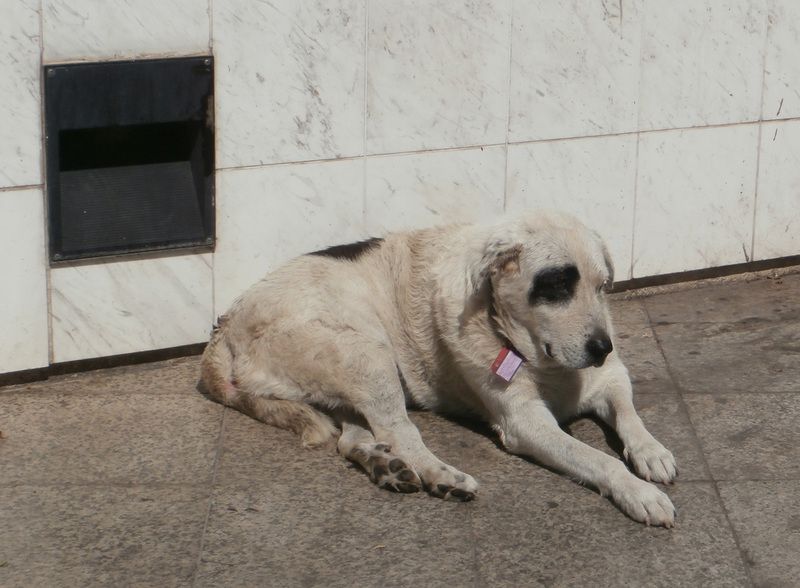 This page is dedicated with lots and lots of love to the stray dogs and cats -and the birds as well- of Athens, which, in this time of crisis, manage to survive, despite the indifference of the many and thanks to the care of a few caring humans, in this time of economic and moral crisis. But more than that, this page is dedicated to my Lobo, the wonderful stray mutt dog who was adopted from the San Francisco SPCA, (half german shepherd - half black labrador, he was), who accompanied me in my repatriation to Athens and proved to be my very best friend ever, in good times and in very bad times, till his departure in old age for greener pastures and happier back yards. Please consider this: There is no better measurement of civility, humanity, and culture, than the way we treat those in an inferior, less privileged position than us. 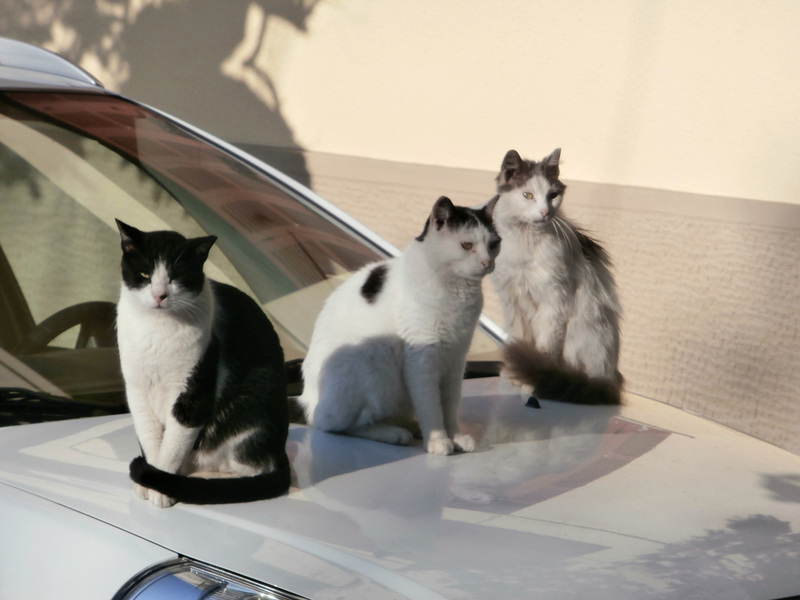 And the animals, pet, stray or wild, need our respect, care and protection, every day of the year, and especially in times of need or in times of extreme hot or cold weather. 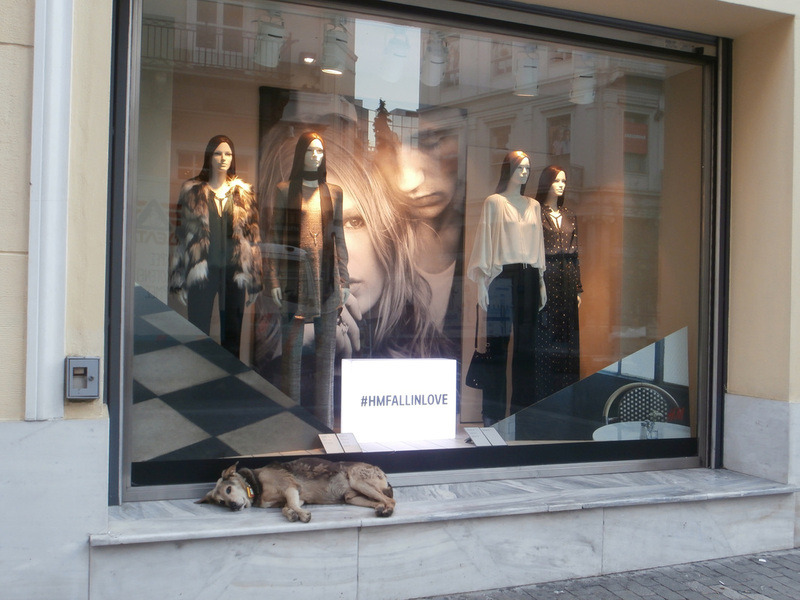 The front window of the upscale shop on busy Ermou Street, in central Athens, just got better with the aid of this native 4-legged Athenian. 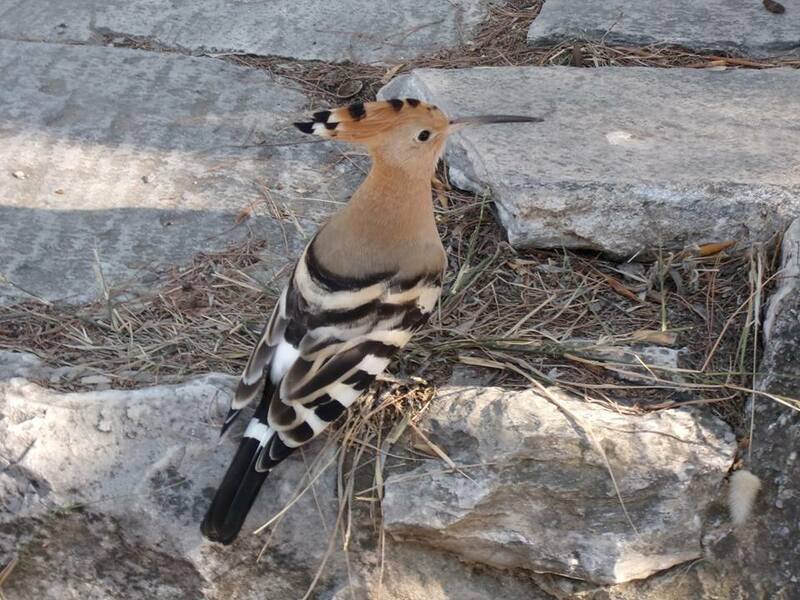 A brave hoopoe, as photographed by our friend John Vellis, flirting with people at close contact by the entrance to the archaeological site of Pnyx, a few days ago. "Don't you ever cross my path again!" in Anafiotika, Plaka. "May I have a piece please?" 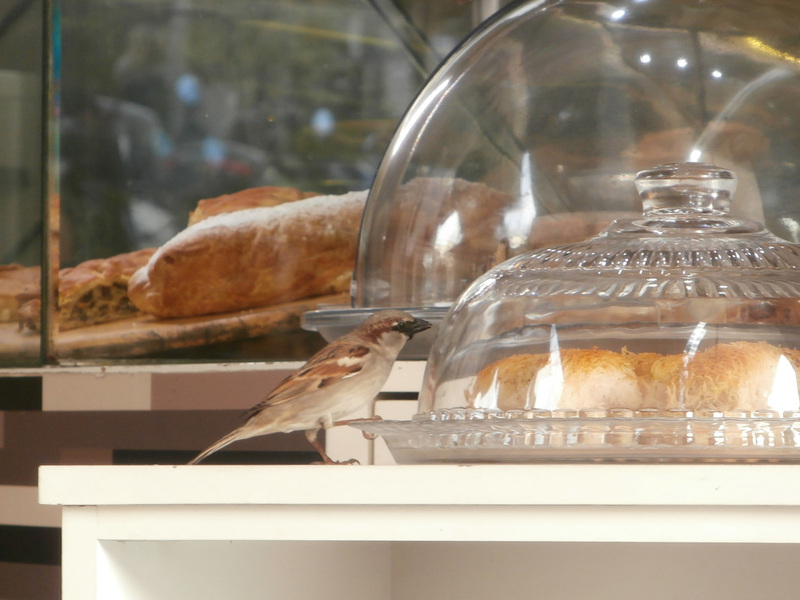 said the sparrow to the cake. 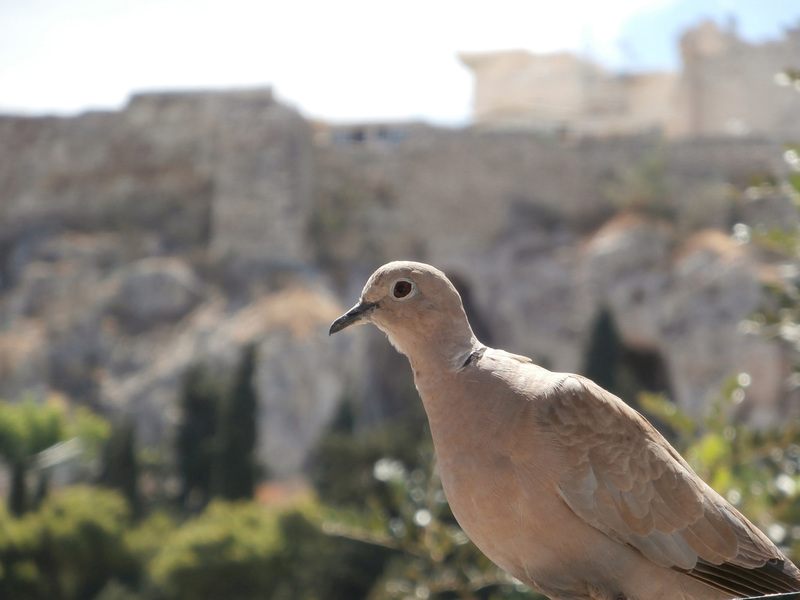 A dove against the Parthenon. 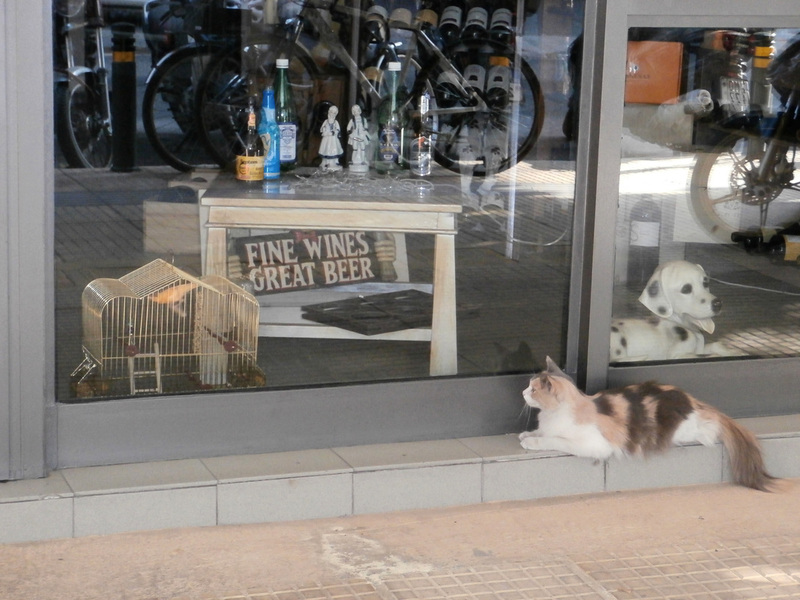 The cat is preying over the bird in the cage, oblivious to the fake dog behind the window. 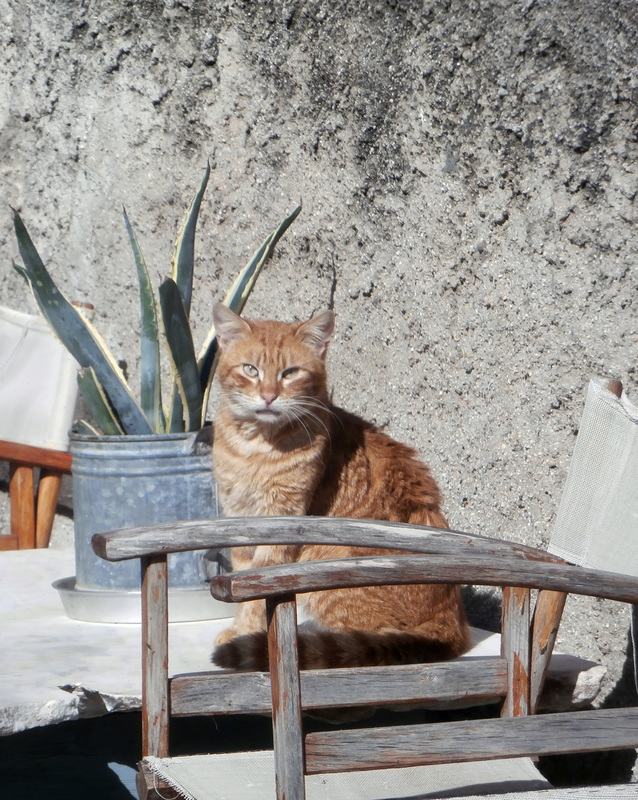 Othello lives on Frynihou Street, corner with Kydathineon. 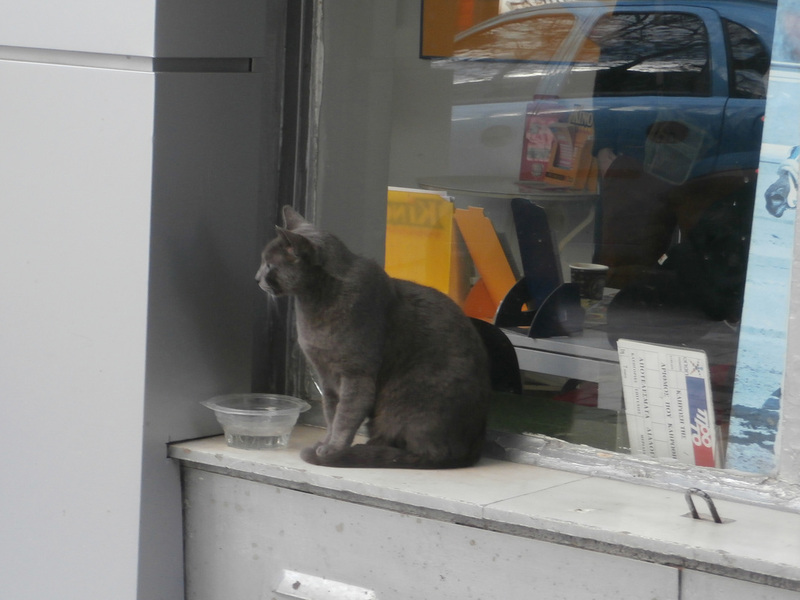 The owners of the betting shop on the corner, but also several neighbors, feed him well, and have allowed him to feel as one of them. And the girls were watching from across the street, on Mitseon Street, across the new Acropolis Museum. 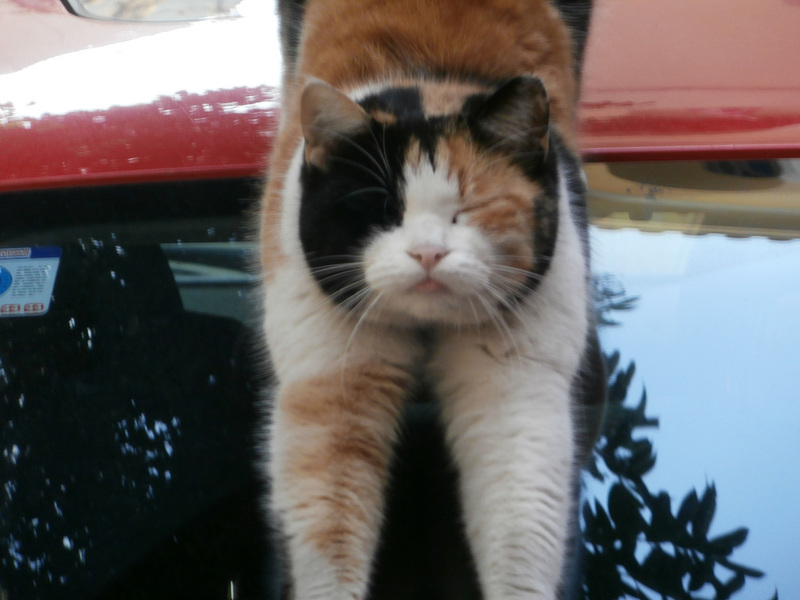 The playful black&white cat by the elementary school of Adrianou Street in Plaka. 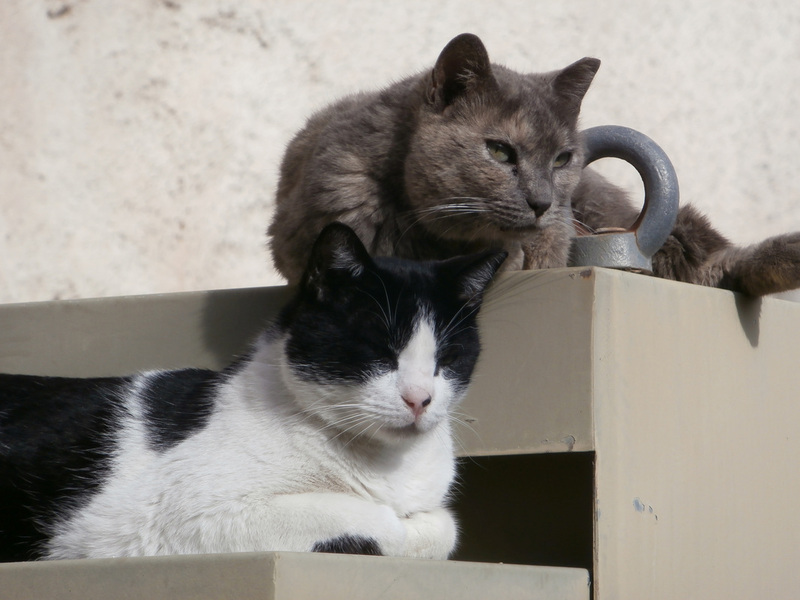 Two proud male stray cats at the yard of the new Acropolis Museum in Athens. 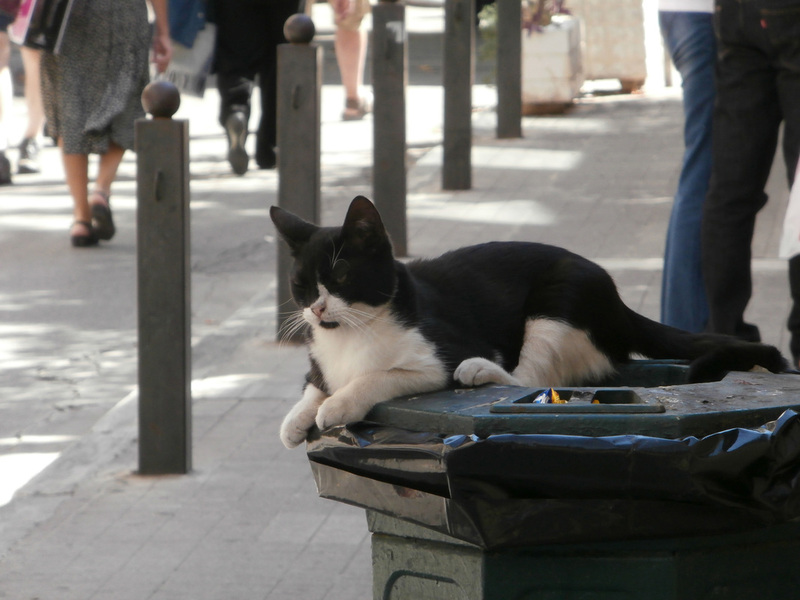 Dayan, named after the one-eyed Israeli general, guards the entrance to the Acropolis Metro station. He suffers from arthritis and always picks up the warmest spot available. "What a hard day today was! 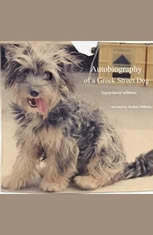 ", shot on Angelikis Hatzimihali street, Plaka.